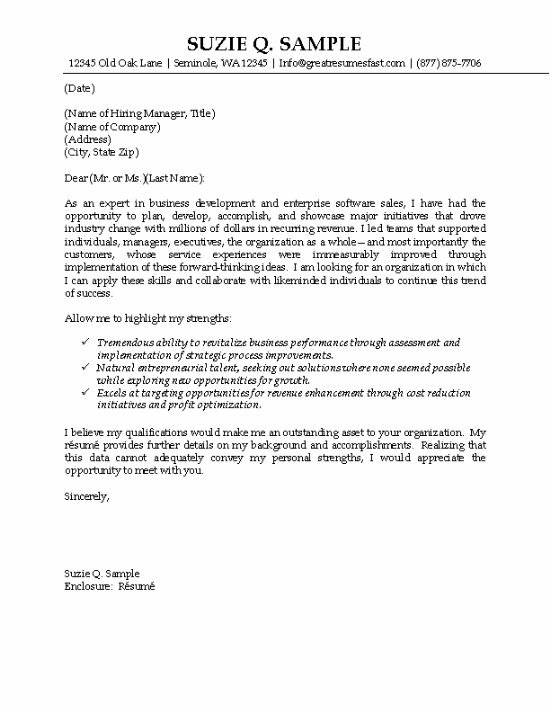 This page displays an IT sales cover letter example for a Business Development and Technology Sales professional. The letter serves as a good resource for business or technical marketing professionals. This cover letter is written directly to the hiring manager. The sales professional describes job experience in the planning, development and execution of business development and sales initiatives for enterprise software company. The opening paragraph focuses on the core experience. The job seeker identifies the scope of their past experience by stating their role in generating millions of dollars in recurring revenues. The writer also provided details of their leadership skills. 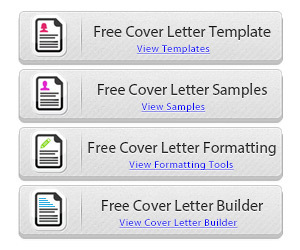 This style of cover letter uses bullet points to emphasize accomplishments. These highlighted achievements include improved business performance, revenue growth and cost reduction. The closing paragraph introduces the resume for additional details about the candidates experience and invites an opportunity to meet with the employer. 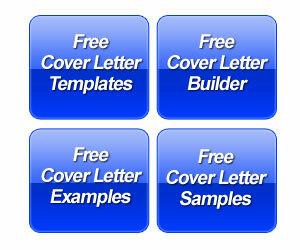 If you are an experienced sales professional, the sales cover letter is probably one of the easiest letters to write. The sales job is about impacting the bottom line, growing revenue, meeting quotas, exceeding goals, increasing market share. These achievements are necessities in the cover letter. If at all possible, a sales cover letter really needs numbers such as dollars earned, percentage gains. The inexperienced sales professional has one of the most difficult cover letters because a proven sales person will have a significant advantage. Someone breaking into the industry has to explain how past job experience translates. For example, if you were in customer service, explain how you had success changing a customer’s opinion of the product. You need to show that you will work harder to make up for your lack of experience.